A special gift for your cutiepie! Impress those who are very close to your heart. 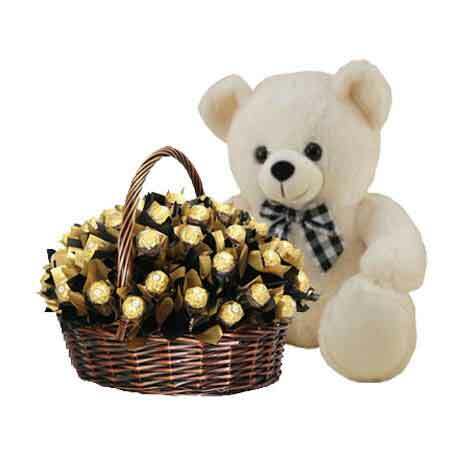 Impress them with this 1 feetlovable Teddy and 48 pieces of ferrerorocher sticks arranged in a designer cane basket. It is a perfect gift for birthdays, anniversaries and family occasions, etc.